Landscaping Fabrics~ Do They Really Work? There has been a big debate over the years about Landscape Fabrics. As with any controversy, there are two sides. I’m going to give you a few facts and then you can decide which side you are on. I am going to try to be non-biased but then I’ll also share my personal findings. Landscape fabrics are made from a hodgepodge of materials. 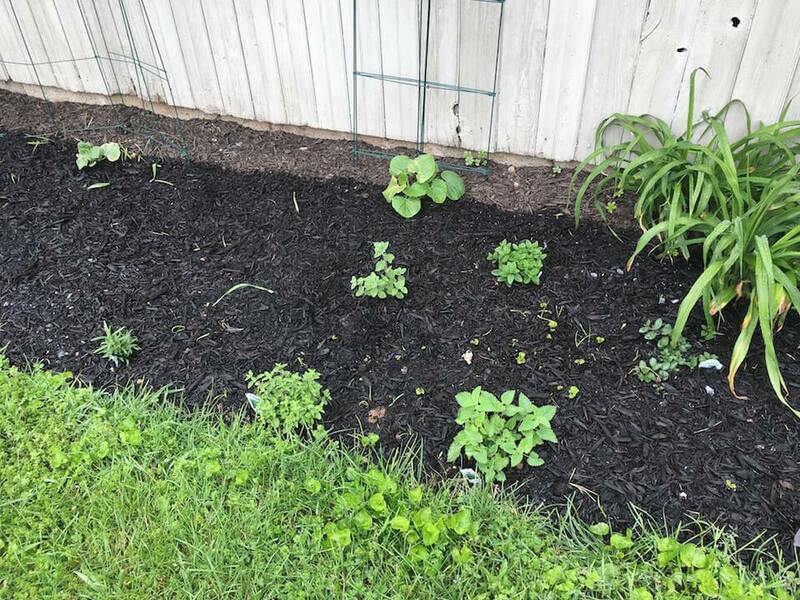 Gardeners and homeowners alike have been using them for years, raving how they prevent weeds while also keeping the soil quenched and air flowing through it. 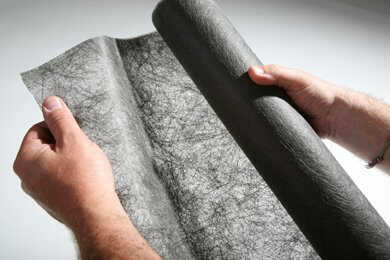 A perfect idea to help stop erosion is the landscape fabric. Usually, this is installed with the fuzzy side down. In order to prevent soil erosion, install fuzzy side UP. The fabric can be quite an expense to install. The good news is, it is rumored to last about ten years. If you are a lover of low maintenance plants and don’t tend to be fickle with your landscaping, then this may be the way to go. Once installed, landscaping fabric is not the easiest to remove or for new plantings. If you are a dog lover, the fabric could come in handy. The fabric deters puppies from digging in the backyard. 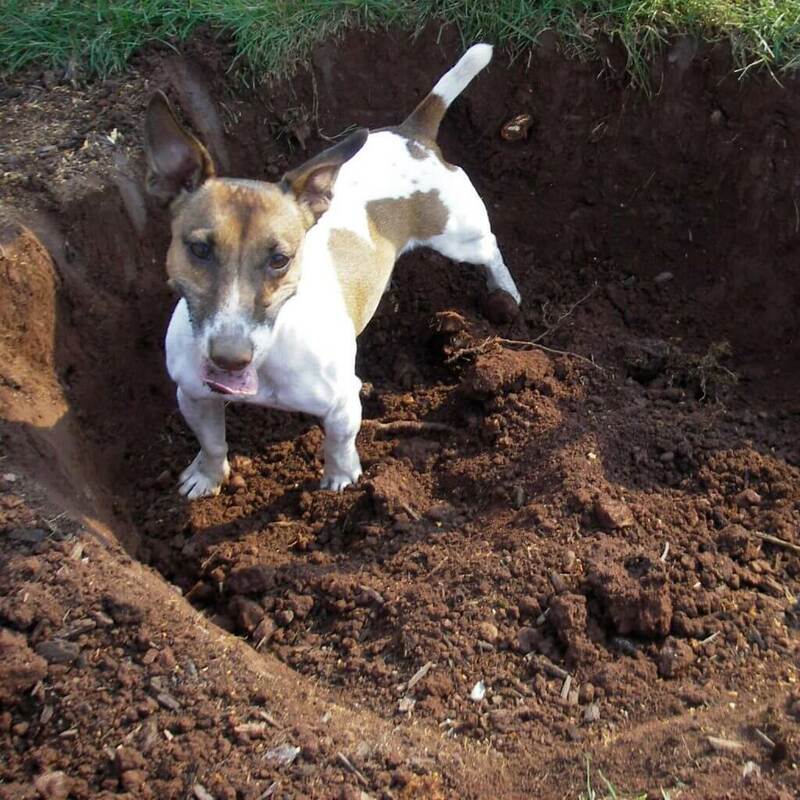 If landscaping fabric was installed, Miles wouldn’t have been able to make this huge hole. Depending on how often you like to change the plants and shrubs in your garden, this may be a good option. A downside to this is that perennials need nutrient rich soil to sustain their health. 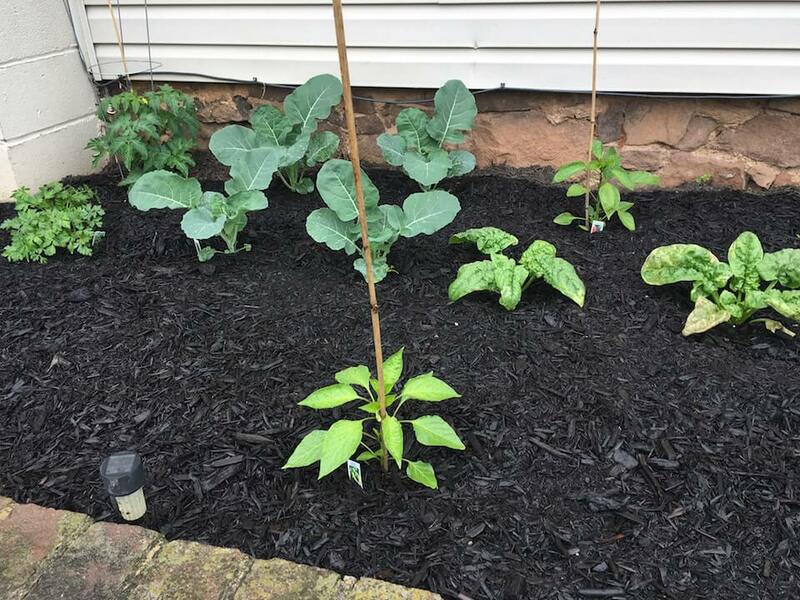 Many trees and shrubs have deep root systems and the fabric may prevent those roots from reaching the compost or mulch which they need to grow. It also acts as a barrier for seeds not just weeds. Many plants need to be able to spread and re-seed. They are unable to do this when there is a fabric between them and the soil. So now you have heard the positive and negatives about landscaping fabric. Now, let me tell you about my experiment. It is springtime and that means it is time to refresh the mulch. Every landscape company has their own opinion about how to mulch and what to put under it (if anything.) I wanted to test the newspaper theory. You can also use cardboard. This year I decided to plant my veggies in two different beds so it was the perfect time for my study. Bed 1- after one week. Newspaper installed before mulch. In bed 1 after all plantings were complete, I started the newspaper project. Make sure you wet your soil thoroughly before laying 2-4 layers of newspaper, leaving a small area around your plants. Another round of watering is necessary to adhere the newspaper or cardboard to your soil. Next up is the mulch. You want to make sure to cover all of the newspaper but be very careful around your plants. The mulch can suffocate your plants. Plants need air to survive. Mulch should be about 2” deep and the entire bed should be even. In bed 2, the newspaper was left out and only mulch was installed. I did not use any weed spray or pre-emergents in the bed. I should be honest and say, I never really did believe in the “newspaper theory.” I just knew that I would have weeds in a few days. Within one week the results were in. Newspaper actually works! There are no weeds in bed 1 and there are tons in bed 2. See the photos for proof. I am definitely on Team Newspaper! Bed 2- one week after mulch only was installed. Look at all the weeds! I would love to hear your comments or stories about what works for you.